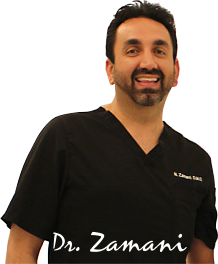 DENT-ALL By Dr. Z now offering Invisalign® and Orthodontic Accelerator treatments. Call 818-788-7711 to schedule your complimentary orthodontic evaluation and consultation. Act now to take advantage of this limited time special offer – $3000 OFF Invisalign® or $70 per month OAC*. Offer includes a Complimentary Orthodontic Evaluation and Consultation . Schedule an appointment at our Los Angeles or Irvine office. 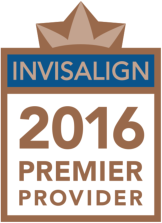 Invisalign® is a relatively new and nearly invisible way to straighten teeth without use of metal bands, brackets, or wires!! By using a series of clear removable aligners (or clear braces) to move the teeth in proper alignment, Invisalign® is able to achieve straightened teeth. These clear aligners are made from impressions taken from the mouth, and scanned into a computer. Dr. Zamani and Invisalign® Corporation use their expertise to show a 3-D computer image of what the final outcome would look like, even before the patient gets started. From the 3-D image, those clear aligners are made and the patient can get started. 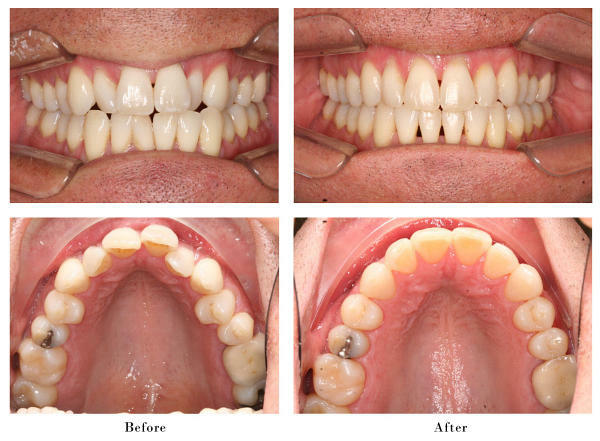 The patient wears each set of aligners for about 2 weeks, removing them only to eat, brush, and floss. 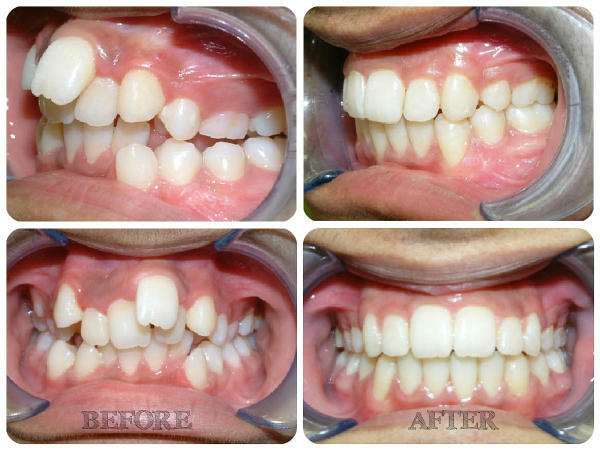 As the aligner is replaced with the next series, the teeth will move little by little, week-by-week, until they have straightened to the final position decided upon initially. Total treatment time on an average is 9-15 months and the average number of aligners used during the treatment are between 18 and 30, but both will vary from case to case. 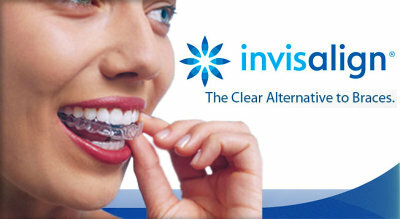 The Invisalign® orthodontic system is the most advanced in the world. Other clear aligners pale in comparison to the innovations of Invisalign® clear braces. Only Invisalign® clear aligners are made of SmartTrack® material, which is a proprietary material that provides a better fit and allows patients to straighten their teeth more precisely. The Orthodontic Accelerator technology allows Dr. Navid Zamani to finish treatment more effectively and efficiently. We feature Propel and Acceledent Orthodontics, which works by stimulating the bone surrounding the teeth and works with the patients biology. Combining these two innovative technologies and treatments significantly reduces the time and number of treatments required to achieve a winning smile. Dr. Zamani is able to treat the majority of our Invisalign® patients in significantly less time and doubling the speed of treatment vs just conventional braces! Using Orthodontic Accelerators allows us to now have significant time savings during treatment as well. Remarkably, the Orthodontics Accelerators, like the Propel Pro V or the AcceleDent can help increase the speed of treatment by as much as 4 times vs conventional braces! These are remarkable time savings for patients wanting to correct the alignment of their teeth in a very short amount of time with the use of clear aligners such as Invisalign®. DENT-ALL By DrZ offers Accelerator Orthodontics and Invisalign® in Brentwood, Hollywood, Beverly Hills, Encino, Irvine, North Hills, Panorama City, Northridge, Santa Monica, Tustin, Westwood, Woodland Hills, and Van Nuys, California. We have two convenient locations to serve communities throughout Los Angeles and Orange County. This place is AWESOME…literally! The moment you walk in you are greeted with beautiful smiles and everyone seems like they are happy to serve. The office manager is so kind and really takes his time with you to discuss payment options, treatments, etc. Dr. Z and all his dental assistants are on it! Everyone gets a gold star from me! It was really a great experience and would recommend to anyone! Overall, they have a great business acumen. They get we have choices when choosing a dental physician to give our hard earned money/insurance to. Nice to be treated with great appreciation for it. Thanks to everyone at the DentAll By Dr Z Team! The advantages of Invisalign® are many, but the three most popular are that they are Invisible Braces, Removable Braces, and Comfortable Braces. 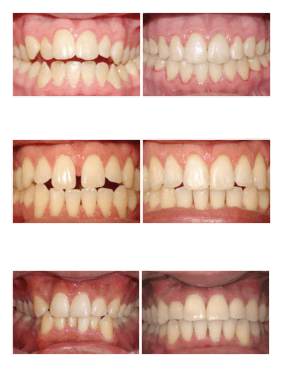 Many patients choose this new modern way of straightening teeth over the old fashioned braces. We’re confident that you too will love Invisalign® just as many of our patients. For more information or questions on Invisalign® orthodontic treatments in Sherman Oaks, please contact our office for assistance. *Financing offer starts from $70 per month on approved credit.